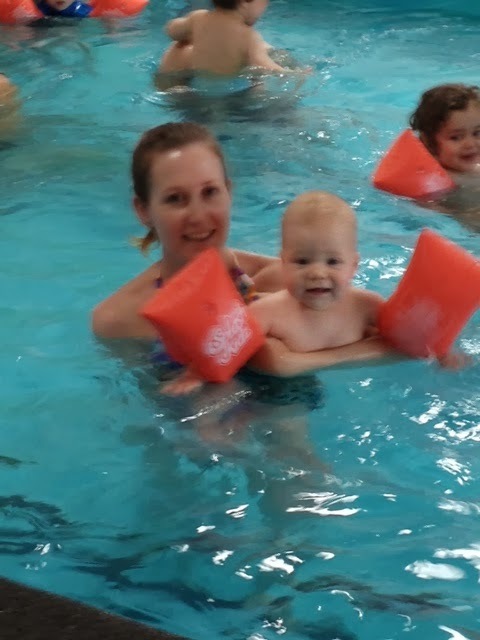 Our little man was teething SOOOOOO badly on the weekend and refused to have his morning nap on the day he was starting his swimming classes. He just cried the whole morning! The good news is that on Sunday night, his top tooth finally poked through the surface and his teething woes were forgotten again for a while. 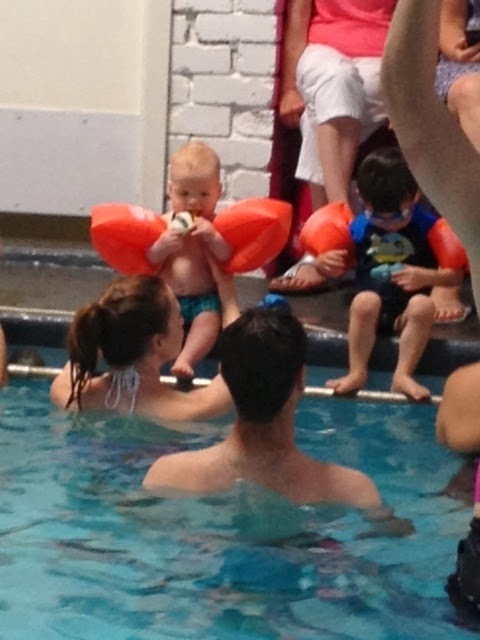 Anyway, back to the story - it was a stinking hot day (41 degrees celsius) when we took him to the pool. He was by far the youngest in the class, and I wondered how he would cope with all the noise and activity given that he had no sleep all morning. 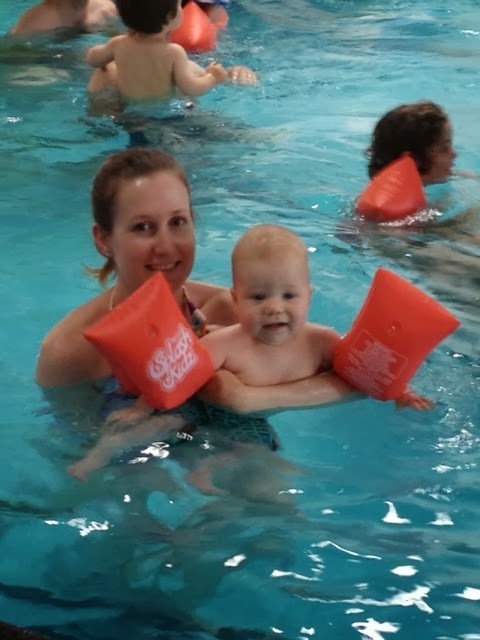 It turns out that he LOVES the pool! 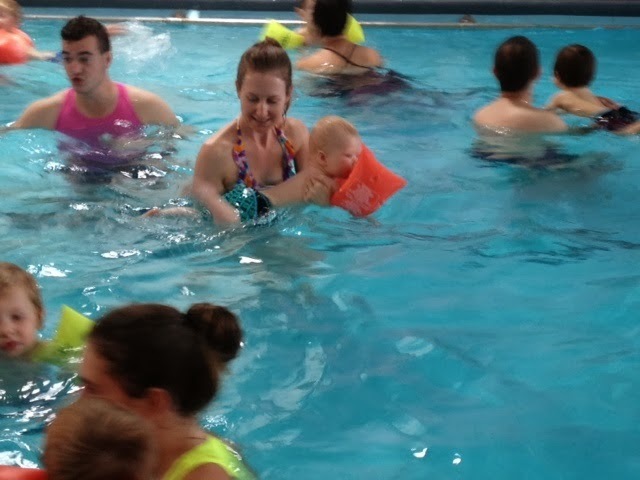 He enjoyed all the splashing and singing with actions that we did in the class. 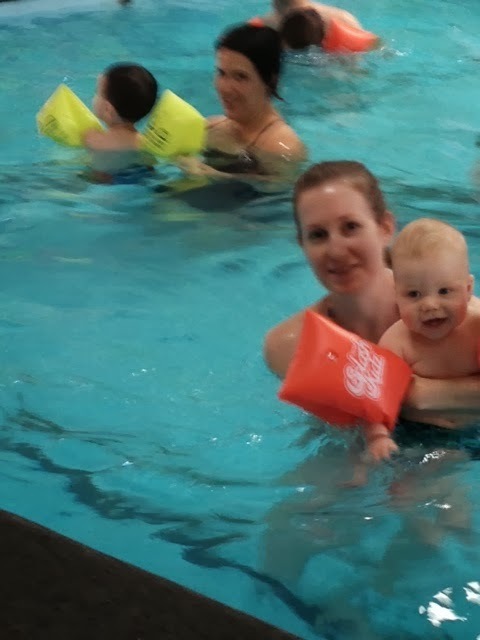 He didn't really understand much that was going on, but hopefully each week he will start to learn more about kicking his legs or blowing bubbles. It was strange to me because I was the only Mum in the class. All the other babies were with the Dads! 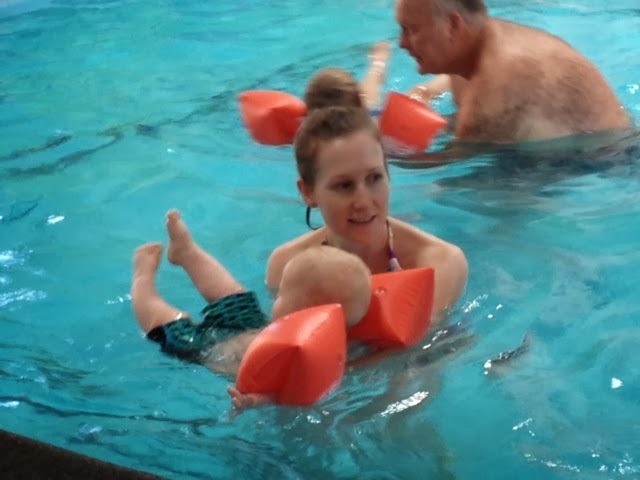 Eddie's Dad was taking photos of us from the side of the pool though - we thought we should record his first class. Anyway, here's a couple of pics from the fun we had.